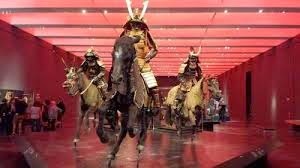 2015 started in fine Pit Bull fashion when Lou & Eugenie went to LACMA to see the fascinating ‘Samurai’ exhibit which features some amazing sets of Samurai armor, horse gear, bows, swords and other items from the 13th to the 19th century. After spending the day running errands, they arrived about an hour before closing. They wavered about paying $50 for 2 tickets but dad said ‘What the heck” and handed over our Capital One card, the one with a photo of the three of us. “Is that a pit bull?”, the museum clerk asked. They said “yes” and she promptly gave them a free admission, which was doubled when they added that I was a rescue. They loved the exhibit, but it was impossible to top the loving gesture. As many of you know, mom and I are California born and bred but dad hails from the East Coast, specifically the New York-New Jersey metro area where he spent the first 40 years. During that time, he had the good fortune to attend Iona College (New Rochelle, NY) where he received a first rate education in liberal arts. 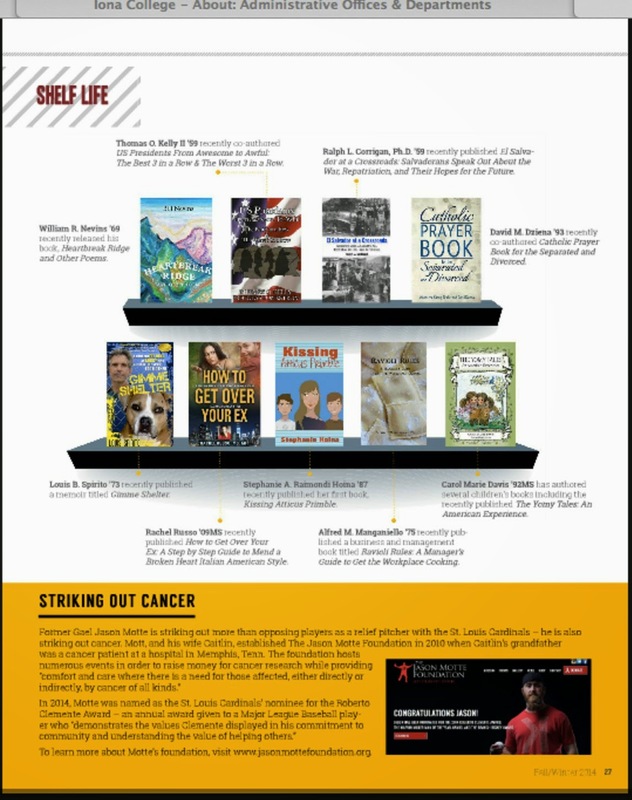 This past week, we learned that the Iona College Magazine featured GIMME SHELTER in the ‘Shelf Life’ section of the Winter Edition. Thanks to Lizzie Faia and the staff for showing a grateful Gael alum some love. In the ‘How Great Is This’ department, the holidays saw a canine miracle in Susanville, CA, where 7 newborn pups were left to die in a dumpster. 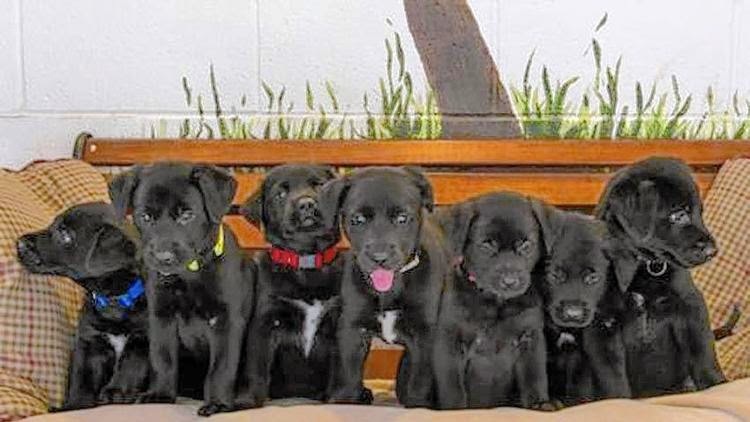 According to a story in the L.A. Times , when a good samaritan notified the authorities, the Lassen County animal control office and some bog-hearted rescue volunteers from Pet Network Humane Society in Incline Village, Nevada, stepped up to nurse the throwaway babies. Thanks to their know-how and round-the-clock efforts, they all survived and were promptly adopted.